Pretend play has never looked so lovely. This wooden tea set’s unisex design is beautiful in its simplicity. White with one, thanks! 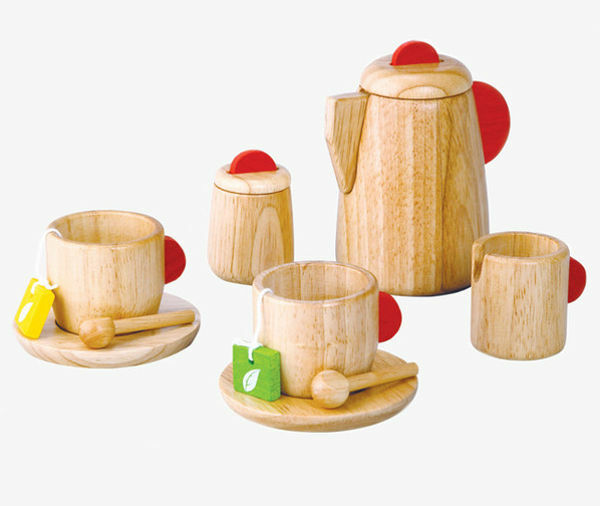 We’re partial to Plan Toys toys and this Wooden Tea Set is a beauty. It’s made from preservative-free rubber wood – meaning it’s a sustainable option. Consisting of a teapot, sugar bowl, milk pitcher, two tea cups, two saucers, two teaspoons, two tea bags and two sugar cubes – it’s ready to make tea for two. Its modern design also ensures this set carries its weight as a décor item. It costs $49.95, from Sustainababy, and is designed for children over the age of three.